Don’t get me wrong, the Phone Interviewer is not out to get you and they will not be overly critical. (In fact, it would make their job easier if you do a great job on the Phone Interview.) But, they will be watching for red flags and mistakes. If you make a serious mistake, they have no choice but to fail your Phone Interview. 2. Recruiters are your allies on the inside. Impress a Phone Interviewer and they will quickly become the strongest ally in your network. Think of it like this: The Recruiter and the Hiring Manager have a rapport, they work closely together, talk to each other everyday, and the Recruiter has gained the trust of the Hiring Manager. As a job seeker--that is someone I want on my side! It’s one thing for the Hiring Manager to see on your resume you have sales skills, but its quite another for a Recruiter, someone the Hiring Manager trusts, to tell the Hiring Manger you have a high selling potential. The Recruiters job is to “sell” qualified candidates to the Hiring Manager. You want to be in that crowd and an error free Phone Interviewer will get you there! 3. Your resume doesn’t tell the whole story. You have so much you would like to share on your resume. I understand--it’s not easy to display a ten year career on a couple of 8 ½ x 11 pages. By properly preparing for your Phone Interview, you can really help yourself here. 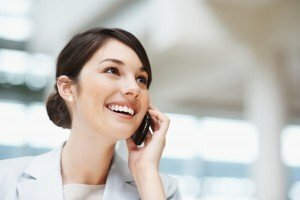 A Phone Interview is going to (likely) consist of questions related to your past experiences and job qualifications. It’s really your chance to get the proudest and most successful moments of your career on record. But, you can only accomplish this if you have taken the time to properly understand the wealth of your skills and experiences and how they relate to the job your interviewing for. (For tips on this, check out my last article, 5 Steps to an Excellent Interview). The Phone Interviewer is going to make note of almost everything you say during the Phone Interview. I say almost everything, because they aren’t going to be interested in things which do not relate to your ability to preform well in the position for which you are interviewing. So, you have to spend time ensuring you align your self with the position before you pick up the phone for your Phone Interview. So, what happens with those notes? They are available to the Hiring Manager to review along with your resume. A well executed Phone Interviewing adds more value to your candidacy and makes available vital information you would not put on a resume.